Week 2 of the Healthy Heroes 5K Challenge is in the books. This training schedule now is becoming a habit for you. What the best part? You're now a quarter of the way toward running your first 5K. The Healthy Heroes Run & Walk on Saturday, Sept. 8, seems a possibility now. Stefenie Smith of Rock Valley, a nurse for Sioux Center Health, has been taking the Health Heroes 5K Challenge with the help of Stephanie and Kim. She is excited about her progress as she goes into Week 3. "I've always been my biggest obstacle. Not anymore. I can – am – doing this!" she said. Next week, we'll be back for Week 4. Just stop back at promisechcnews.blogspot.com on Saturday morning for the training plan. Just like you, Stefenie Smith of Rock Valley has completed the first two weeks of the challenge and is on to Week 3. For more information and to register, visit www.AllSportCentral.com. 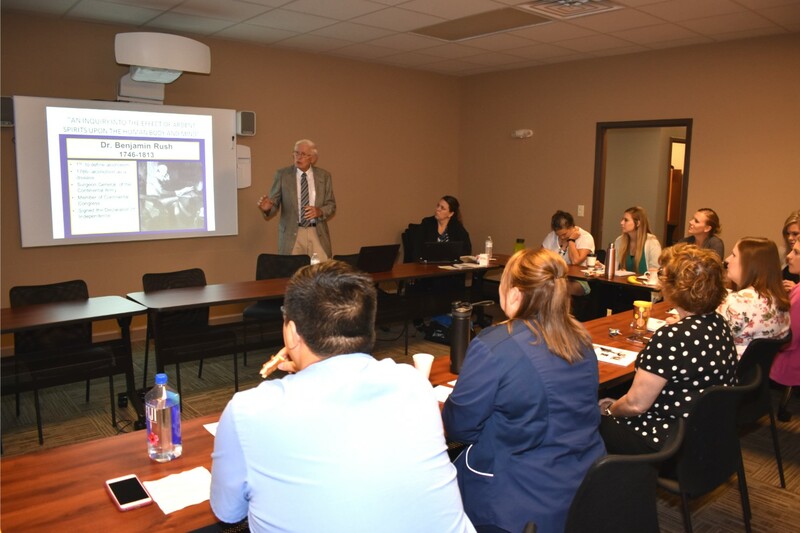 SIOUX CENTER – The abuse of opioids has become an increasing problem nationwide, including right here in northwest Iowa. Aug. 22, at Promise, which is sponsoring the event. How can we identify people at risk and help keep them safe? Rachel Wurth, MSN, ARNP FNP-BC, assistant medical director of Jackson Recovery Centers of Sioux City will lead a community education forum to answer this question and more. Promise Community Health Center, 338 First Ave. NW, Sioux Center, will offer the free training event 9 a.m.-noon Wednesday, Aug. 22. To register, visit opioidstraining.eventbrite.com. 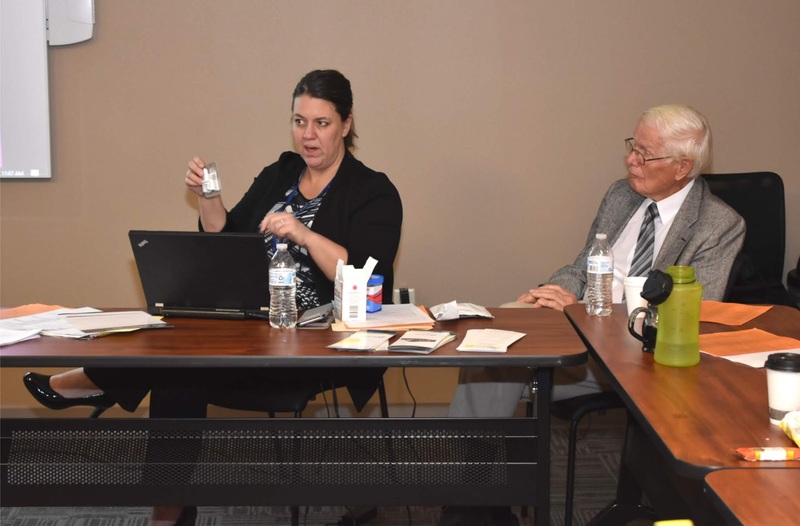 “We want community resources to have the background and information they need to screen for suicide prevention and self-management of opioid abuse,” said Nathan Vander Plaats, executive director for Promise. 9 a.m.-noon Wednesday, Aug. 22. The training is geared toward medical, mental health and substance abuse disorder professionals in the care for their patients and clients, but any community member who would like to become better informed about opioids and other chemical dependency issues is encouraged to attend. Health professionals can earn continuing education units (CEUs) through the training. For more information, call Promise at 712-722-1700. To register for the Wednesday, Aug. 22, substance abuse community education forum, visit opioidstraining.eventbrite.com. The event is free. Participants can earn continuing education units (CEUs). You're finished with Week 1. Now on to Week 2 of challenge. You're one week into the Healthy Heroes 5K Challenge. See, that wasn't so bad. You'll be able to do this. Nurse health coaches Stephanie Van Ruler and Kim Davelaar of Promise Community Health Center will make sure of it. They will walk through it with you every step of the way with their eight-week training plan to run your first 5K. plan for the Healthy Heroes Challenge. Day 1: Walk 2 minutes / Run 3 minutes. Alternate until you reach 15 minutes. Day 3: Walk 1 1/2 minutes / Run 3 1/2 minutes. Alternate until you reach 15-18 minutes. Day 6: Walk 1 minutes / Run 4 minutes. Alternate until you reach 20 minutes. Next week, we'll be back for Week 3. Just stop back at promisechcnews.blogspot.com every Friday for the next step in the training plan. Just like you, Stefenie Smith of Rock Valley made it through the first week of the challenge and is ready to start Week 2. This week, Kim Davelaar gets her started on the first day's activity. Each week, you will see a new video as she strides into a new week of the challenge. Watch she starts Week 2. Is that your immediate response if someone asks you if you could run a 5K? too, on the Healthy Heroes 5K Challenge. But, not so fast. Stephanie Van Ruler and Kim Davelaar, nurse health coaches for Promise Community Health Center in Sioux Center, say: "Yes, you can!" In fact, they're going to show you how. Over the next eight weeks, they will take you through a step-by-step training plan that they customized to get you – and anyone who wants to – running that 5K (3.1 miles). The eight-week training plan will start slow and gradually build in way that will allow you to succeed. They invite you to take the challenge. To take that first step. To commit to taking it just one week at a time to reach your goal. Yes, that's right. 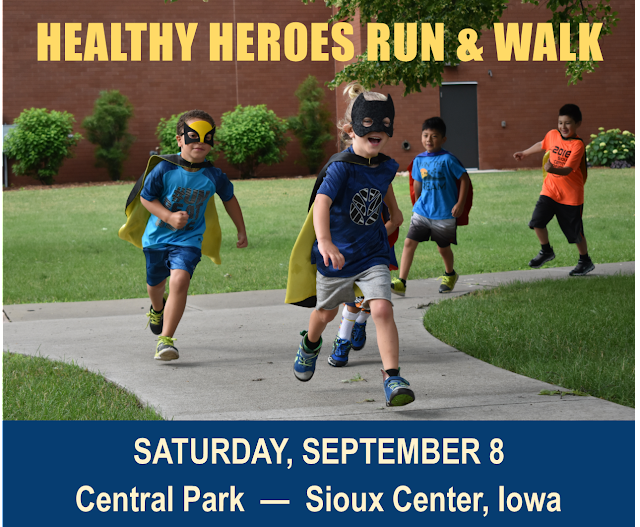 They would love to see you run in the Healthy Heroes 5K at the end of the challenge on Saturday, Sept. 8, in Sioux Center. For more information and to register, visit www.AllSportCentral.com. "Every accomplishment starts with the decision to try," Van Ruler said. "I tell my patients and myself all the time that growth takes time." Check out how easy it is to get started and to take the Healthy Heroes 5K Challenge. Day 1: Walk 2 minutes / Run 2 minutes. Alternate until you reach 10-15 minutes. Day 3: Walk 2 minutes / Run 2 minutes. Alternate until you reach 10-15 minutes. Day 5: Walk 2 minutes / Run 2 minutes. Alternate until you reach 10-15 minutes. Next week, we'll be back for Week 2. You won't be alone in taking the Healthy Heroes 5K challenge. 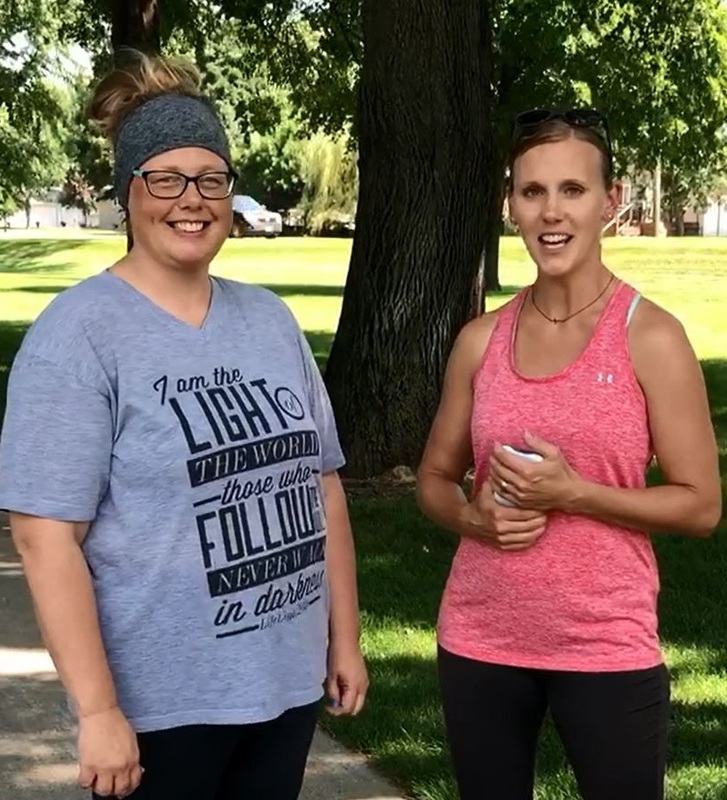 Not only will Stephanie Van Ruler and Kim Davelaar guide you along the way with this eight-week training plan, but you will have the opportunity to watch as Stefenie Smith takes the challenge along with you to run her first 5K. Watch as she starts Week 1. SIOUX CENTER – Promise Community Health Center is inviting all area students to another Back-to-School Block Party on Wednesday, Aug. 1. At the event, Promise will ensure that students will have all of the health screening requirements and immunizations that they need for school taken care of. 2-7 p.m. Wednesday, Aug. 1. Plus, free food and fun will be offered for the whole family. 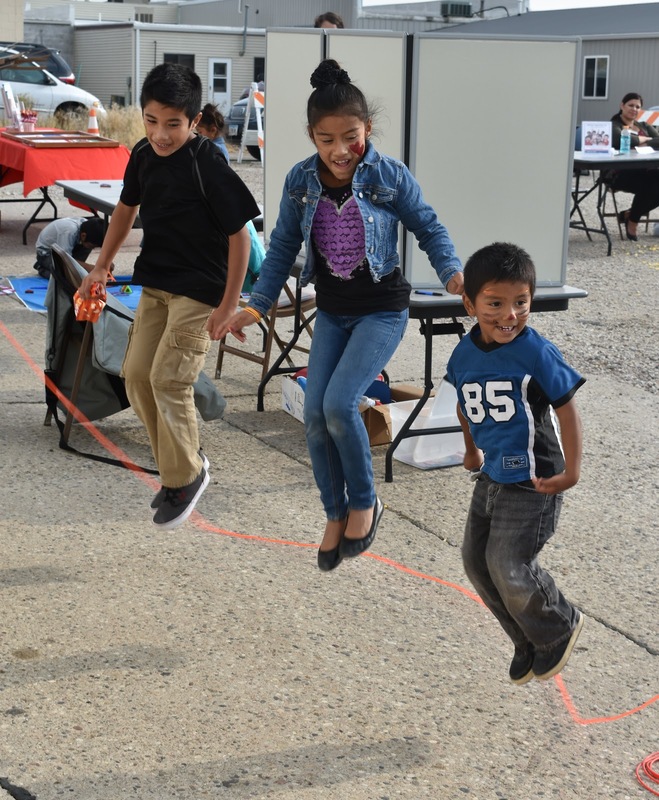 The health center, located at 338 1st Ave. NW, across the street from the Sioux Center city office, will host its ninth annual Back-to-School Block Party between 2-7 p.m. on Aug. 1. The Back-to-School Block Party is open to all area students and their families. No appointments are necessary in advance – just show up. $25 school and sports physicals. Health Center's Back-to-School Block Party on Aug. 1. No appointments are necessary for the services. Promise also will give out free drawstring bags with school and health supplies. A $500 grant from the Walmart Foundation and a donation of dental supplies from Delta Dental helped to make the project possible. After families complete the screenings, they will be invited into the parking area and alley behind Promise’s building for the block party food and fun. KSOU Radio will serve free hot dogs, chips and Coca-Cola and play music. Culver’s will hand out frozen treats. Several organizations from the community will present booths with various interactive and educational games and activities for children and families. In addition, Sioux Center Health representatives will provide car seat safety checks again this year, so people are encouraged to bring their vehicles with their car seats to the event. The Sioux Center Kiwanis club donated $650 for Promise to purchase car seats for the event. The number of people who attend the event continues to grow every year. 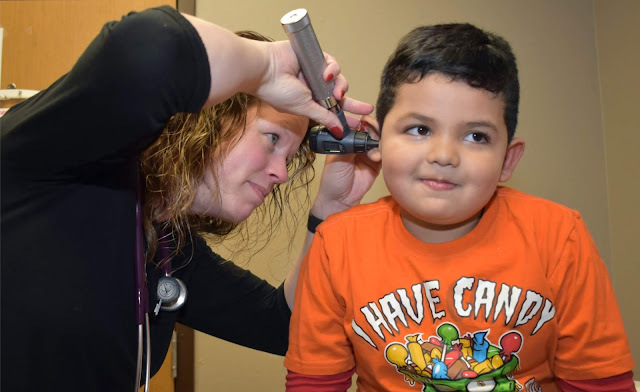 What: Promise will offer free immunizations, dental screens and vision screens that students need for school and $25 school and sports physicals. Free drawstring bags with school and health supplies will be handed out. The event also will include free food, games and activities offered by various area businesses and organizations. Why: The event helps ensure students are prepared for school. Contact: For more information, call Promise at 712-722-1700. The Back-to-School Block Party also serves as Promise Community Health Center’s celebration of National Health Center Week, which is Aug. 12-18. 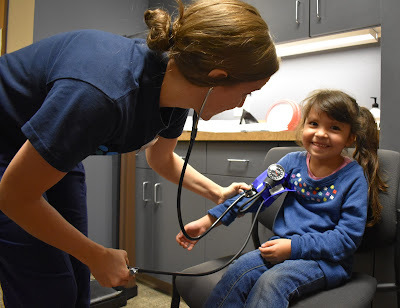 National Health Center Week celebrates the history of community health centers providing affordable, high-quality and cost-effective health care to medically vulnerable and underserved people throughout the United States, regardless of their insurance or ability to pay. About 27 million Americans are served by a network of more than 1,400 community health centers and 10,400 service delivery sites. Promise Community Health Center, one of 14 community health centers in Iowa, opened in July 2008 in Sioux Center as a nonprofit health center and earned its status as a Federally Qualified Health Center (FQHC) in 2012. During 2017, Promise cared for a record 4,750 patients – 22.4 percent more than the previous year. They receive received a comprehensive array of health services that includes medical, prenatal, dental, vision/eye, mental health and family planning. Of those patients, 44.3 percent were on Medicaid and 36.4 percent had no insurance, but everyone is welcome to receive care at Promise. To learn more about America’s health centers, view this fact sheet with quick-glance information.